"I saw this yellow fabric in Joann's the other day and I LOVED IT! I had no idea what I actually wanted to do with it, but knew I would figure something out. 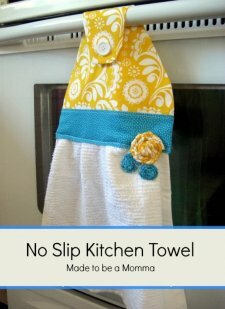 My awesome grandmother had made me some of these no slip kitchen towels for Christmas. I decided with spring on it’s way it was about time to make some bright cheerful ones! "This yellow reminds me of all the pretty yellow daffodils that are popping up everywhere!" Editor's Note: We are working with Katie to get an active link to the tutorial for her cute little rolled fabric flowers. Check back later for the updated link! 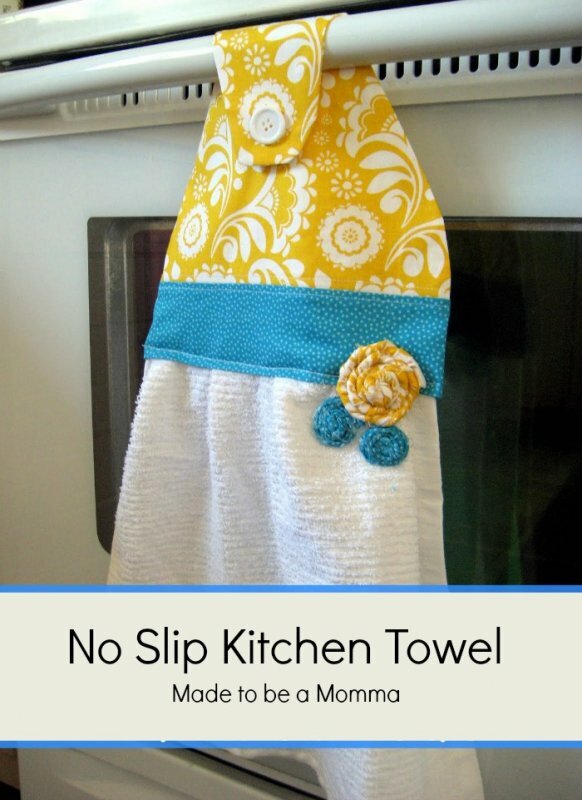 What do you think of this no-slip kitchen towel?